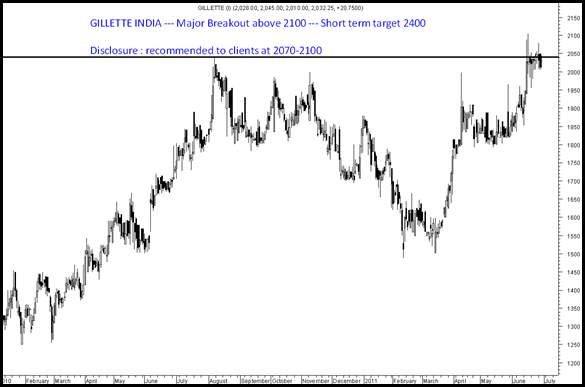 Gillete India – Major Breakout may head to 2400 in medium term. 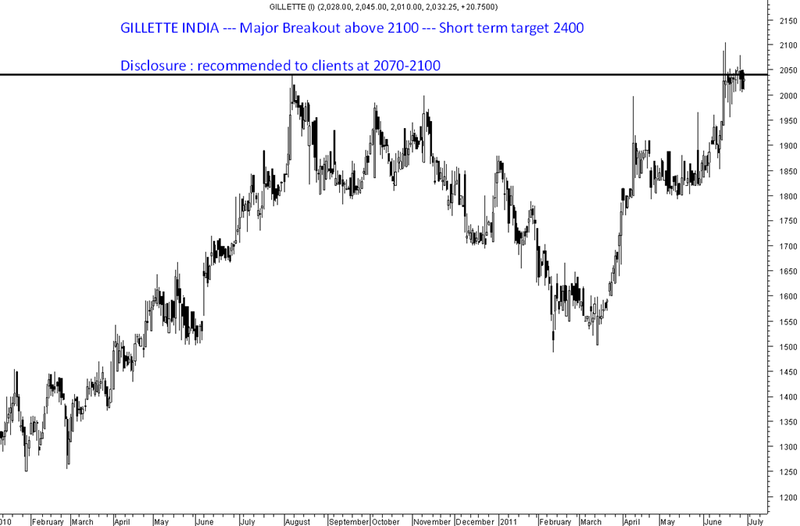 After a quick clean move in Colgate one may focus on another MNC which has given a good breakout in the short term and may head higher slowly and steadily. Also some of the defensive picks recommended last week. Continue to remain bullish on Godrej Inds and Smartlink Network for patient investors. 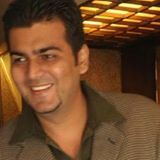 i know u have said in th past that you do not track JMC Projects, being a regular follower of your blog I cant help but ask your opinion on the same I have a fairly large investment in it nearly 3500 shares @ RS 215 and its not given any movement in the last one year and i am worried i bought it on my brokers recommendation would you be so kind as to look at it. You can look for a bounce to 165/185 to reduce part of the position and cover it back on dips. No fundamental view on it but technically seems a short term bottom in place. Please advice me about DPTL (Dhunshree Plantations) i have bought 2000 @ 195/- what is prospect of this company.. Should i hold it or sell it for loss…. please reply..